One of my daughter’s favourite treats is to go and have sushi, so the idea of surprising her with this toy is just too delicious! 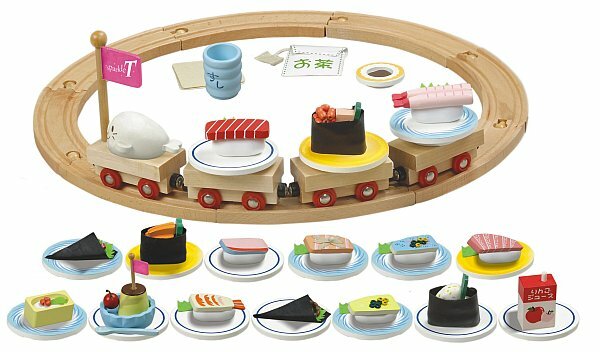 The Sushi Restaurant Train Set is a fabulous array of felt and magnetic pieces that kids can put together to make a yummy sushi meal. Then it’s all aboard the train for guests to choose the meal they want. A great mix of play food and a train set for both boys and girls. Plus it comes in a lovely wooden box for easy storage. Suitable for children aged three and up, it costs $89 from Lark.